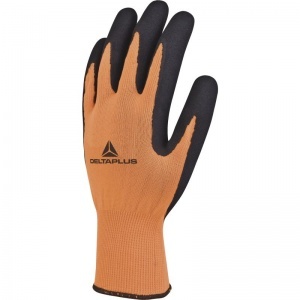 Made with lightweight, breathable materials, and coated with latex foam that prevents perspiration build up, the Delta Plus VV733 Latex Coated Work Gloves combine light protection against cuts, abrasions, tears and scratches with superb comfort, preventing your hands from getting tired and sweaty. The fluorescent colours make them perfect for use in low lighting conditions, while the dexterous design is practical when handling smaller objects. 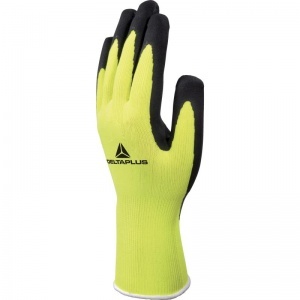 The VV733 Latex Coated Work Gloves are available in a choice of sizes, making them suitable for most users. Please consult the table below for details, then select the required size from the drop-down menu at the top of the page.